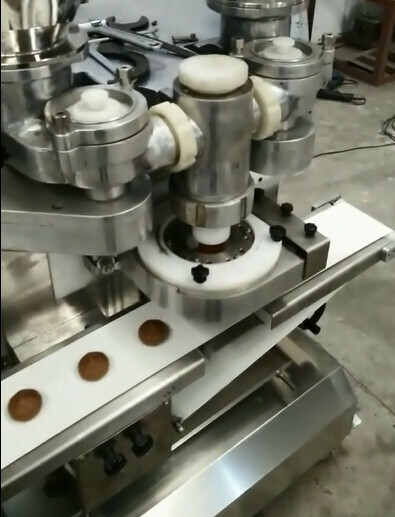 This encrusting machine is single filling, one side for filling, one side for dough. Encrusting machine can't produce the dough which has too much water. The flling and dough should be dense. The flour of the dough should be cake flour or soft flour. The capacity of two hoppers is 20L and 28L. 2) PLC system, product memory unit built-in (99 units). Recording various operating data. 3) Depositing single, double filling, powder, granule, liquid(like jam) and other fillings. 2) The 3rd filling is directly put on the machine. It applies goes down through gravity. 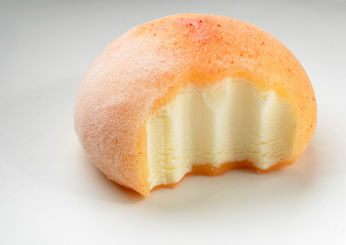 And users can put soft filling (jam), solid filling (nuts), or even powder filling(peanut powder). 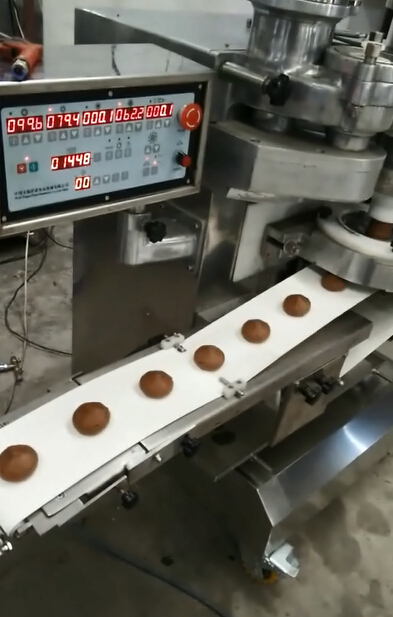 Industrial and commercial bread baking: Mass production line, used to produce falafel, red bean paste mochi, powder mochi, cream mochi, meat ball, fish ball, vegetable ball, beef ball, mooncake, biscuit, cookie, cake, falafel. But you should pay attention, the fillings for falafel should has some concentrated strength.